He's Back. A hero for our millenium. And not a moment too soon, because during the five years (much longer in movie-fan years!) Superman sought his home planet, things changed on his adopted planet. Nations moved on without him. Lois Lane now has a son, a fiance and a Pulitzer for "Why the World Doesn't Need Superman." And Lex Luthor has a plan that will destroy millions - no, billions - of lives. Filmmaker Bryan Singer (X-Men, X-2) gives the world the Superman it needs, honoring the legend everyone loves while taking it in a powerful new direction. 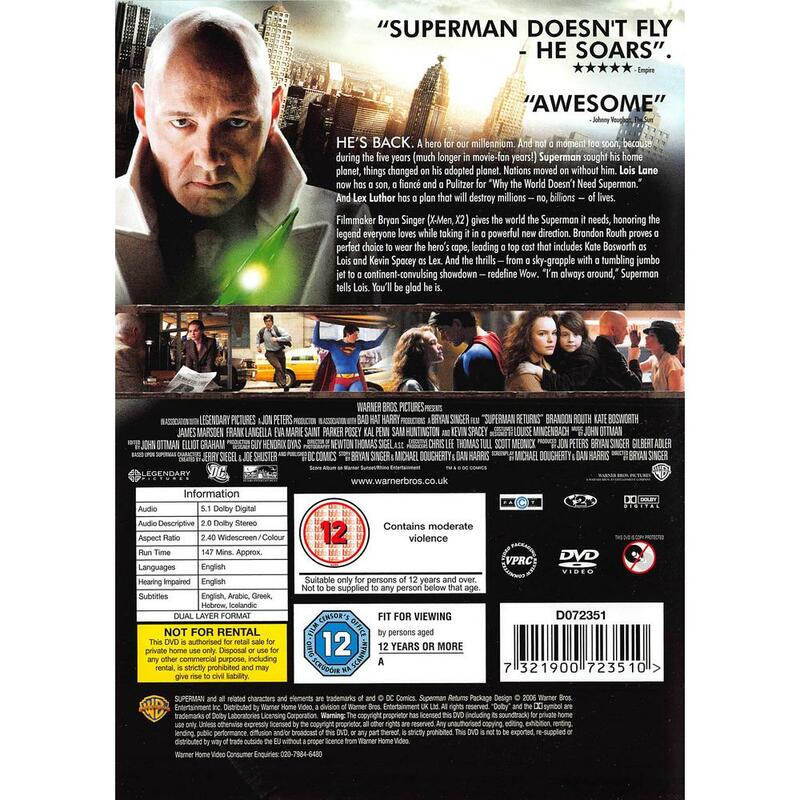 Brandon Routh proves a perfect choice to wear the hero's cape, leading to a top cast that includes Kate Bosworth as Lois and Kevin Spacey as Lex. And the thrills - from a sky-grapple with a tumbling jumbo jet to a continent-convulsing showdown - redefine Wow. I'm always around, Superman tells Lois. You'll be glad he is.